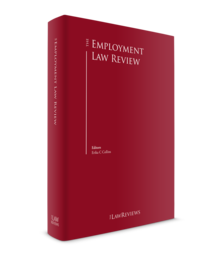 The Portuguese employment law framework is generally known for its high degree of employment protection, mainly because dismissal at will is forbidden by the Portuguese Constitution and the general understanding of an employment relationship is that it is long-term. However, in practice, employees face labour market segmentation because employers, despite accepting a certain degree of risk, tend to use other forms of employment, such as fixed-term contracts, temporary agency work, independent contractors and outsourcing of services to provide for their staffing needs. Most of the relevant regulations are consolidated in the Labour Code (LC) (Law 7/2009 of 12 February). In addition to the LC, several other laws regulate important issues, such as those related to parenthood protection (Decree-Law 91/2009 of 9 April), work-related accidents and sickness (Law 98/2009 of 4 September), and health and safety at work (Law 102/2009 of 10 September). Civil servant or public employment relationships are governed by special regulation. Judicial litigation as well as the application of administrative fines are handled by labour courts, which, in Portugal, are part of the system of ordinary courts, as courts with a specialised competence. This specialisation also led to the creation of particular labour divisions within the higher courts: the social divisions of the appeal courts and the social division of the Supreme Court of Justice. The main entity with responsibility for inspection and enforcement of compliance with the labour legislation is the Working Conditions Authority (ACT), which performs the duties of the Labour Inspectorate. Social security matters are handled by the Social Security Institute under the supervision of the Ministry of Employment and Social Solidarity. Another relevant public agency is the Commission for Equality in Labour and Employment (CITE), which focuses on matters related to equality and non-discrimination between women and men, and the protection of parental rights. At the beginning of 2018, the government, backed by the left-wing majority in parliament, approved extensive amendments to the Portuguese legal framework based on the Transfer of Undertakings (Protection of Employment) Regulations, with a view to increasing employees' protection. One of the most controversial amendments introduced is the possibility for an employee to object to a transfer in limited circumstances, namely when the transfer may seriously damage his or her labour status. In this event, he or she may choose to remain in the service of the transferor. Another amendment that provoked a lot of discussion is the obligation to share the relevant transfer contract with the transferring employees and their representatives. Companies are increasingly investing in the Portuguese market and employers are also making an effort to retain human capital and talent (reverting to alternative ways of managing employee costs, such as flexible working arrangements), as a result of the government's measures to support employment and business. Moreover, the rate of collective dismissals has dropped, which means that employment relationships are becoming more stable. In October 2018, the Oporto Court of Appeals confirmed that bonuses paid on a regular basis should not be included in the calculation of annual leave allowance. In a landmark ruling in February 2018, later confirmed by another ruling in April 2018, the Lisbon Court of Appeals confirmed that a group company may, under certain circumstances, be liable to pay the employee certain labour credits. Also in February 2018, the Lisbon Court of Appeals confirmed that fringe benefits, such as a supplementary retirement pension, do not survive once the collective bargaining agreement (CBA) that regulates them lapses. Although not mandatory, it is increasingly common to have permanent contracts entered in writing, as this makes it easier to determine the agreed terms and conditions. Furthermore, the employer may take advantage in executing written contracts to simultaneously comply with mandatory information obligations and include clauses to facilitate the future management of the employment relationship. three years in other situations. Contracts for an unfixed term are more commonly used whenever the duration of the staffing need is uncertain (e.g., replacing a sick employee) and may not exceed six years. 30 days when the duration is six months or more. for top management contracts: 180 days. The party that unilaterally terminates the contract during the probationary period is under no obligation to justify the decision or to pay any compensation. However, if the contract has lasted more than 60 days, the employer must comply with a seven-day notice; if the contract has lasted more than 120 days, the employer must comply with a 15-day notice. Any foreign company without any form of representation in Portugal or any permanent establishment (PE) within Portuguese territory aiming to enter into an employment contract to be executed in Portugal shall be registered before the social security agency. For this purpose, it is necessary to have a Portuguese VAT number, which must be requested from the National Registry of Companies by means of the submission of a signed form accompanied by a certificate of legal standing and a statement confirming the reasons for the request. It is also necessary to have a designated representative for social security purposes, which can be one of the employees hired by the company. For specific time-limited projects, a foreign company may also hire employees through a temporary agency or another third party without having to register in the Portuguese social security system. The lack of the incorporation of a PE prevents the foreign company from making personal income tax withholdings. Therefore, employees hired by companies without a PE are subject to social security deductions only, and not the aforementioned withholdings. There is a general prohibition on any clauses intended to limit freedom to work, with the exception of the non-compete clause. the former employee is paid compensation for agreeing to the non-compete covenant, which means that gardening leave (whereby the employee is not paid any amount) cannot be enforced throughout the non-compete period. In terms of geography, there are no mandatory limitations, although restrictions may result either from the business requirements of the employer or from the scope of limitations agreed upon in the non-compete covenant. There are no specific provisions to regulate the amount of compensation to be paid under non-compete covenants. In any case, the compensation must be fair and adequate in view of the restrictions to be complied with by the former employee. The compensation must be assessed case by case and may be lower than the employee's last monthly salary. Recent case law has held that non-compete covenants are enforceable provided that the compensation is agreed beforehand or, at the very least, both parties have agreed on the formula to be used to calculate the compensation. The legal limit is a maximum of eight working hours a day up to a maximum of 40 hours per week. A CBA may, nonetheless, establish different maximum hours of work per day as long as the legal maximum of hours worked per week is not exceeded. Special flexible working schemes may also be established in certain circumstances and may allow an extension of the normal working time up to 12 hours a day and 60 hours a week. This is the case for the adaptability regime (where the normal working period is defined on an average basis), the bank of hours regime (where the employee can 'bank' time) and the concentrated working period regime (where the working period is concentrated in three or four days per week). In any case, the average working time cannot exceed an average of 48 hours (including overtime) per week, and a daily rest of at least 11 consecutive hours between two consecutive working days must be guaranteed. By means of an agreement, the employee may opt out of working-time limits and choose to receive an extra salary instead. If the employee is in a management role, he or she has the option of waiving the right to receive extra salary. The working day must include a rest period of at least one hour in order to avoid employees working for more than five consecutive hours, but it cannot exceed two hours. As a rule, employees take two days off per week although only one is mandatory according to the LC. The law also sets forth mandatory public holidays. The LC defines night work as work performed between 10pm and 7am (although a CBA may amend this time period), for which the employee is paid his or her normal salary plus 25 per cent. There are no specific limits for the number of night work hours as the general limits apply. All work performed outside normal working hours is considered overtime and may only be performed when there are specific reasons and within a certain limit, which is principally a maximum of 150 or 175 hours per year, depending on the company's size, and two hours per working day. A CBA may extend the annual limit up to 200 hours per year. The minimum additional salary due for overtime is, on a normal working day, 25 per cent for the first hour and 37.5 per cent for the following hours, and 50 per cent on public holidays and weekly rest days. For overtime worked on a mandatory rest day, the employee is also entitled to a full day of time off. The mandatory rest day is established by the employer, and it is usually on a Sunday. Employees under an exemption from the working time limits are not entitled to overtime payments, except for work on weekly rest days and public holidays. A foreign employee authorised to work in Portugal has exactly the same rights and is subject to the same obligations as any Portuguese employee. There are neither limits regarding the number of foreign workers a company may hire nor time limits for the duration of the respective employment contracts, and the company does not have to support any additional taxes or local benefits in relation to them. Companies are under no obligation to keep a separate register of foreign workers. Nevertheless, these workers are identified separately in the company's annual social report and companies must ensure they are duly authorised to work in Portugal. In this regard, Law 23/2007 of 4 July requires foreign workers to apply for a visa. This requirement will not be necessary if the worker is an EU national or a citizen of a country with which the European Union has signed a free movement of people agreement. a residence visa, which allows entry in order to apply for a residence permit. The residence visa is valid for two entries and enables its holder to remain for four months. The hiring or termination of contract of a foreign employee must be notified to the ACT electronically. Employers may implement internal regulations covering rules on organisation and discipline at work. These rules can include the conditions and terms of the fringe benefits granted to employees, as well as specific policies, for example regarding use of the company's assets, internet access, email system and mobile phones, policies regarding discrimination, sexual harassment and corruption. Internal regulations will not enter into force unless employees are notified through postings at the employer's headquarters and work locations, and the labour authority is notified. They represent the employer's exercise of its particular powers and, while they are not incorporated into employment contracts, employees must comply with them. If the internal regulations include some of the terms and contractual conditions the employer wishes to offer the employees, it will be necessary to obtain the employee's consent to those conditions. The employee must adhere to those clauses unless he or she objects in writing within 21 days of the date the contract starts or when he or she is notified of the regulations if this occurs later. Portugal does not have any legislation regulating the language that must be adopted for contracts and other related documents. The only requirement is that the language used shall be one that both parties understand. However, it is advisable for employers to make employees sign employment documents, including contracts, both in Portuguese and their native language, in order to avoid employees' claims based on a misunderstanding of such documents' contents. Although there are no limitations in these situations, if any document not written in Portuguese has to be presented in court, a translation of its contents must be presented. In addition, all documents that have to be presented to the Portuguese authorities (and, in particular, to the ACT) must be written in Portuguese or accompanied by a Portuguese translation. The right to form a works council in any company, regardless of its size, is guaranteed by the Constitution. The initiative to do so lies wholly with the employees, which means that employers are under no obligation to implement this form of representation. The role of a works council is advisory, aimed at safeguarding employees' interests. Consequently, they are entitled to be informed and consulted on several matters regarding the overall organisation, activity and company's budget, working conditions and change of the share capital, as well as to control the company's management and participate in the company's restructuring process. The employer must allow the works council to meet on its premises, either outside or during working hours (in the latter instance for up to 15 hours annually), provided the employee representatives give 48 hours' notice. Works councils may be appointed for a maximum of four years. The members of the works council are elected from lists presented by the employees, by secret and direct vote, according to the principle of proportional representation. in a company with more than 1,000 employees, seven to 11 may be elected. Employees are also entitled to be members of a union and to exercise their rights within the company. Unions have an important role, which includes the negotiation and execution of CBAs, the provision of economic and social services to their affiliates and participation in the labour legislation creation process, among other matters. Union representatives may be elected for a maximum of four years. They have the right to hold meetings at the company, to present information directly to the employees on the company's premises and to request information regarding specific legally established situations. All employee representatives have special protection in matters such as change of workplace, disciplinary proceedings and dismissals. Another important privilege for employee representatives is the right to time off or 'hours credit', which is the right to interrupt their work performance for periods of varying duration, notwithstanding any other right or entitlement, including the right to receive the remuneration corresponding to the time off. The LC has several provisions concerning processing employees' personal data, but there are no specific provisions concerning processing employees' personal data within the employment relationship other than normal data processed by the company's human resources department. This means that all situations of data processing that fall outside this limited scope may be subject to notification to the Portuguese Data Protection Authority (CNPD) and require prior written authorisation from the employee. The notification must identify what data is being processed and for what purpose, along with the identification of any data processors to whom the information is disclosed, and measures related to security and transparency of the data processing. The consent of the employee is not necessary if the data processing is considered necessary for the performance of the contract. In any case, as it is difficult to determine exactly what data is strictly necessary, it is prudent to obtain consent from the employee to process his or her data. The CNPD can, however, exempt certain specific data processing from notification, and it has issued general exemption decisions that cover the basic processing of employees' data that is necessary for the management of the staff and for payroll purposes. The employer, as data controller, must ensure that the personal data of the employees is processed in secure technical conditions and that access to the information is limited to those staff members who need to access this information to perform their job functions. Any transfer of an employee's data from the employer to another entity must be authorised by the employee. Cross-border data transfers must be disclosed to the CNPD when registering data processing. The transfer will require the CNPD's prior approval if it is made to a country that is not an EU Member State, unless it is a country listed by the EU as guaranteeing an adequate level of protection. Additionally, onward transfers are restricted to parties that are bound by agreements setting a minimum level of protection. Portuguese law considers information revealing philosophical or political beliefs, political views, trade union membership, religion, privacy, racial or ethnic origin, or health or sexual life, including genetic data, as sensitive data. Processing sensitive data is prohibited unless there is a prior approval of the data processing by the CNPD. In the employment field, there are some other kinds of data processing that are subject to prior approval, such as the use of remote surveillance mechanisms. The Constitution contains a general right to privacy regarding personal and family life, which is confirmed by the LC. The employer may not demand from an applicant or employee to provide information related to his or her private life, except when the information is strictly necessary and relevant to evaluate the person's aptitude for the performance of employment, and the respective motivation is provided in writing. However, no background checks are allowed unless the information is strictly necessary because of the nature of the job and is authorised by the candidate or the employee. Although employment relationships in Portugal are still characterised by an almost permanent bond between the employer and the employee, the employer may, under certain circumstances, terminate the contract with just cause. The concept of just cause includes not only disciplinary dismissal but also other forms of dismissal, provided that they are justified according to the law. Currently, the LC regulates the following: dismissal based on unlawful conduct of the employee, redundancies or dismissals resulting from the elimination of jobs; and dismissal for failure to adapt. Regarding dismissal based on unlawful conduct of the employee, the concept of just cause is of particular importance as it implies the impossibility, in practice, of continuing the employment relationship owing to the seriousness of the employee's misconduct. When dismissed with disciplinary cause, the employee is not entitled to any notice or compensation, but he or she will be entitled to standard credits that are payable upon termination regardless of the reason (prorated 13th and 14th monthly payments, unused annual leave, etc.). Any kind of dismissal requires the previous implementation of a consultation proceeding extensively regulated by law. The works council should be involved in the procedure and has the right to give a written opinion, but this will not prevent the dismissal. As a rule, any kind of dismissal does not require authorisation from government authorities. If, however, it concerns a pregnant or breastfeeding employee, or an employee on parental leave, the CITE must be consulted and has the right to provide for a binding opinion. The employee has the right to challenge the dismissal in court within 60 days of the dismissal or six months in the case of collective dismissals. If the court rules the dismissal as unlawful, the employee is entitled to receive compensation for salary and benefits lost while the lawsuit was pending. Additionally, the employee is entitled to be reinstated with all his or her former rights and guarantees or, instead, may choose to receive compensation to be set by the court depending on the specifics of the case (between 15 and 45 days' basic pay and seniority allowances for each year of service, with a minimum limit of three months' pay). The reinstatement can be avoided if the company employs fewer than 10 individuals or if the dismissed employee is a senior manager. In this case, provided the court agrees that the return of the employee would be disruptive to the company's business, the compensation shall be set by the court, according to the specifics of the case (between 30 and 60 days of basic pay and seniority allowances for each year of service, with a minimum limit of six months' pay). Settlement agreements for termination of the employment contract are quite common and must be executed in writing. Termination agreements where the employee's signature has not been duly notarised may be revoked by the employee by means of a written communication sent to the employer up to seven days after the execution of the agreement. The termination of the employment contract by the employer for business reasons can be in the form of collective dismissal or individual redundancy. A dismissal will be considered collective whenever the employer terminates, either simultaneously or over three months, the employment contracts of at least two employees in companies with up to 49 employees and five employees in companies with 50 or more employees. If the number of employees to be dismissed falls below these thresholds, it will be considered an individual redundancy. In both cases, the dismissal must be justified by business-related reasons, namely closing down one or more departments of the company or by the elimination of jobs or work positions owing to economic, market, technological or structural reasons. Where collective dismissals are mandatory, the employer must first enter into consultations with the employees' representatives and the Ministry of Labour with a view to reaching an agreement in relation to matters such as the possibility of avoiding or reducing the number of employees to be made redundant. Similarly, individual redundancy also requires the previous implementation of a consultation proceeding involving the employee to be dismissed and the employee's representatives (if any). The ACT will participate in the proceeding if the employee so requires. In both cases, the dismissal shall require authorisation from the CITE if it involves a pregnant or breastfeeding employee, or an employee on parental leave. shorter length of service for the company. Again, in both cases, the employee is entitled to a notice period of between 15 and 75 days, depending on his or her seniority. Employees dismissed within redundancy proceedings are entitled to statutory compensation. Portuguese regulations on compensation were extensively amended because of the agreements struck between the Portuguese government and the European Commission, the International Monetary Fund and the European Central Bank for its financial bailout. Under the new regulations, compensation for dismissal varies between 12 and 30 days of salary depending on the employee's start date and the length of service. The parties also have the possibility of executing a termination agreement at any time, which eliminates the need to justify the dismissal. Only if the agreement is an alternative to redundancy is it necessary to notify the social security system of the reasons for termination for purposes of unemployment benefit. Regarding the formal requirements, the agreement must be in writing, two copies must be made and signed by both parties, and it has to include the date of its signature and also the date the agreement will go into effect. The agreement can be revoked by the same terms mentioned above. Regarding the transfer of business, the LC transposed the EU Acquired Rights Directive (Directive 2001/23/EC of 12 March 2001). A transfer of business is not cause for termination. A dismissal based solely on the employer's transfer of business would be deemed unlawful. The underlying principle is that the employment agreements are transferred by way of law to the transferor under the same terms and conditions. In these cases, employment contracts will be automatically transferred to the transferee in the exact terms and conditions in force at the moment the transfer occurs. The transferor and transferee are jointly and severally liable for the payment of any credits due to the employees until the date of the transfer. The liability of the transferor is maintained for two years following the transfer. The transferee may not limit its responsibility. The transferee also assumes liability for payment of contributions and interest to the social security system at the time of completion of the transfer, and is responsible for the payment of any fines to the labour authorities for non-compliance with the labour rules. The transferee is obliged to observe the CBA that was in force for a minimum of 12 months, unless a new CBA is applicable to the transferee's employment relationships. Prior to the transfer, the transferor and the transferee must inform the employees' representatives or, should these not exist, the employees themselves of the transfer. This information must be made by means of a written document, including the date and reasons of the transfer, its legal, economic and social consequences, and the measures regarding the employees that shall be adopted owing to the transfer. An extensive amendment to the Portuguese transfer regulations was enacted in mid 2018. The main amendments were the following: the employee may object to the transfer whenever it may be seriously detrimental to his or her labour status; under the same circumstances, the employee may resign with cause and claim compensation from the transferor; and the relevant contract must be shared with the transferring employees and their representatives. Although the Portuguese economy is still recovering from the financial crisis, there are optimistic signs that employment relationships and unemployment rates will improve, mainly because of increased investment and the government's measures to support employment and business. Under this framework, the government struck a deal with the unions and employers' associations to introduce further amendments to the LC. Some of these amendments will repeal the most controversial austerity measures agreed by the previous government with the EU troika, such as the bank of hours regime (see Section VI.i), term contracts, temporary contracts through employment agencies and lapsing of CBAs. 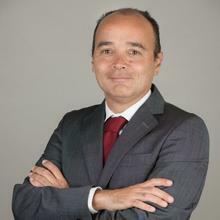 1 Tiago Piló is a managing associate at Vieira de Almeida. The author would like to thank Inês Silva Macedo, a junior associate at Vieira de Almeida, for her assistance with this chapter. 2 Information retrieved from Statistics Portugal: https://www.ine.pt. 3 Failure to comply with the obligation to enter into a written contract, whenever it is mandatory, does not render the contract as invalid but may lead to it becoming a full-time permanent contract. 4 For instance, as a rule, the employer is not allowed to unilaterally reduce the employee's salary or to demote the employee even with his or her consent. 5 Except in the case of top management contracts where the probationary period must be expressly stipulated by the parties.